In this post we look at two recently argued circuit court appeals, which present questions about how plaintiffs can satisfy their burden of showing a causal relationship between those settlements and antitrust injury. In re: Nexium (Esomeprazole) Antitrust Litig., Nos. 15-2005, 15-2006 & 15-2007 (1st Cir.). Arising from being the first reverse-payment case to reach a jury verdict, this appeal by the unsuccessful plaintiffs challenges the district court’s ruling on summary judgment, evidentiary rulings, and instructions to the jury. The case concerns settlements between Nexium manufacturer AstraZeneca and ANDA applicants Teva and Ranbaxy. According to plaintiffs, AstraZeneca promised Ranbaxy that it would not launch an authorized generic during Ranbaxy’s 180-day exclusivity period and made several other side deals that would be lucrative for Ranbaxy. In return, Ranbaxy agreed to acknowledge the validity and enforceability of AstraZeneca’s relevant patents and not to launch its generic version of Nexium until mid-2014. Plaintiffs say that this settlement then triggered AstraZeneca’s settlement of a declaratory judgment case brought by Teva to declare its patents invalid. Under that agreement, Teva agreed not to launch until the same date agreed upon with Ranbaxy. As we have noted previously, the jury determined that the AstraZeneca-Ranbaxy settlement was “large and unjustified” and anticompetitive, but did not cause a delay in the entry of generic versions of Nexium. Plaintiff drug purchasers raise three challenges following the lengthy jury trial and a tortured procedural history. First, on summary judgment, Judge Young of the District of Massachusetts held that the Ranbaxy settlement did not cause harm to drug purchasers because Ranbaxy would not have been able to launch its generic earlier than the agreed-upon entry date anyway. Plaintiffs say this was error, because it imposed too high a standard at the summary judgment stage in requiring them to show what “would” have happened absent the settlement and because Judge Young failed to apprehend that because Ranbaxy was the first filer, the settlement could have caused Teva’s delay as well. Second, plaintiffs challenge the exclusion of expert testimony that they say would have helped them make their causation case. Finally, they say that the questions posed to the jury on a special verdict form were legally defective and confusing. They argue that the series of questions limited the jury’s verdict to only one possible “but for” path to generic entry, while in reality others were possible. They also note that the jury’s answers to the questions were internally contradictory: Plaintiffs argue that by finding that the Ranbaxy settlement’s anticompetitive effects outweighed procompetitive benefits, the jury must have thought that it had caused some delay. AstraZeneca and Ranbaxy respond (Teva settled the case earlier in the litigation) that Judge Young’s summary judgment ruling correctly applied the law and that even if it was erroneous, it was rendered harmless by the jury’s verdict. They also defend the court’s evidentiary rulings and dispute the argument that the jury’s finding that the Ranbaxy settlement was anticompetitive was equivalent to a finding of causation. A First Circuit panel heard argument on October 5, 2016. Another appeal that raises causation issues was recently argued to a Third Circuit panel. There, Judge McLaughlin of the Eastern District of Pennsylvania granted summary judgment to defendant GlaxoSmithKline. 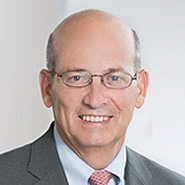 As in Nexium, GSK agreed to a “no authorized generic” provision in the parties’ settlement of a number of related Hatch-Waxman cases. But the settlement agreement was unique in that the generic manufacturer was permitted to continue its Federal Circuit challenge to a patent held by GSK’s business partner. Accordingly, the court found, the anticompetitive harm identified in Actavis—i.e., the elimination of the risk of patent invalidation—was not presented by the reverse settlement. It went on to hold that, even to the extent that there was some anticompetitive threat from the settlement, it was outweighed by procompetitive benefits (including certain licenses granted to the generic manufacturers). The court also found that plaintiffs’ alternative argument that the settlement delayed the entry of a generic version of GSK’s Wellbutrin had no foundation. Plaintiffs, it said, did not show that continued litigation, or a settlement without a “no authorize generic” provision, would have resulted in an earlier entry by the generic. Although the parties’ appellate briefs are sealed, the transcript of the September 7, 2016 argument is available. Plaintiffs argued that questions of causation and of the balance of pro- and anticompetitive effects should have been left to the jury. Defendants, meanwhile, said that these questions were appropriate for resolution at the summary judgment stage. Because of the complexity and variability of Hatch-Waxman settlements and the circumstances that precede them, it will be a long time before this body of law settles. The Nexium and Wellbutrin appeals described above, and others that are sure to follow, may represent some initial steps toward a more predictable doctrine evolving from Actavis. Notably, the Supreme Court just denied cert in a case that could have resulted in a ruling on what types of reverse-payment settlements result in antitrust scrutiny. In their cert petition in SmithKline Beecham Corporation, dba GlaxoSmithKline, et al., Petitioners v. King Drug Company of Florence, Inc., et al., No. 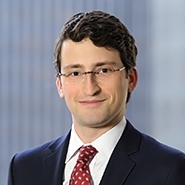 15-1055, defendants GSK and Teva sought review of a Third Circuit panel’s holding that such scrutiny can be triggered by a settlement in which the brand name drug manufacturer, instead of paying the generic applicant in cash, promises to forbear for a period from introducing its own authorized generic. Petitioners argued that the Actavis decision’s focus was on “unusual” settlements. Here, however, petitioner GSK characterized its agreement with Teva merely as an “exclusive license,” which is a routine way of settling patent litigation. Petitioners contended that extending the Actavis holding to such a case imposes too broad a scope of potential liability. The Supreme Court invited the United States to file an amicus brief on the issue of certiorari. It did, and the Solicitor General agreed with plaintiffs that the Court should not take up the appeal. The United States argued that a non-cash settlement should not automatically be immune from antitrust scrutiny and that the lower courts do not require guidance on the question presented. For now, the Court will not weigh in.